Many people who read this blog might not have supported President Obama's policies. But can you imagine refusing to sit in a restaurant where a prominent member of the Obama administration was also being served? No, neither can I. You know by now that White House press spokesperson Sarah Huckabee Sanders and a party with her were asked to leave the Red Hen restaurant in Lexington, Virginia. Hillary Clinton lost the Presidency in 2016 for many reasons but one was surely because she called people who disagreed with her a “basket of deplorables.” Millions of Americans knew who she meant, and nearly 63 million voted for Donald J. Trump. The political left is now repeating that mistake as its cultural and political vanguard sends a message of condescension, hostility and now ostracism to anyone who voted for Mr. Trump or has worked with or for him for the good of the country. Their relentless contempt might end up re-electing him. 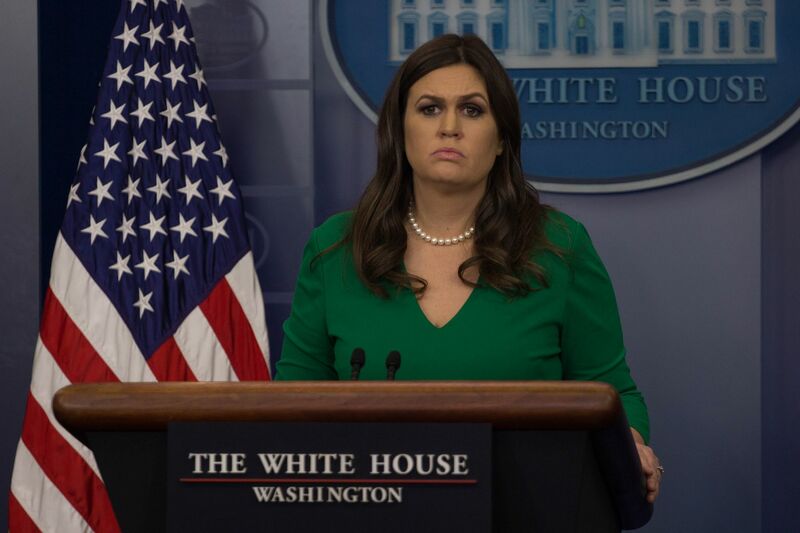 On that score don’t underestimate how the refusal by a restaurant in Lexington, Virginia, to serve White House press secretary Sarah Huckabee Sanders will resonate politically. Rest assured every Trump supporter in America will be reminded of this episode from here to November. The message: Now you’re so deplorable they won’t serve you in their restaurants. The ejection of Sanders from the Red Hen follows less than a week upon the heckling of Homeland Security Secretary Kirstjen Neilson at a Mexican restaurant in D.C. The protestors later showed up at the front door of Ms. Nielsen's residence. ,In response, the New Yorker published an article headlined "The Absurdity of Trump Officials Eating at Mexican Restaurants During an Immigration Crisis." No--not a parody, the New Yorker, long ago a byword for urban sophistication, really did publish such an article. Of course, this state of affairs is dangerous, ugly, and, as the New Yorker shows, has descended into bathos. It probably actually helps the president, but the stomach-churning qualities make daily life far less pleasant than it should be, even if we don't work for the Trump administration and can expect to eat in restaurants of our choice. But it is distressing because it means we can no longer have a civil argument about a complicated issue such as immigration. A lot of these high emotions and indignant stances are the result of demagoguery. There are politicians who believe they benefit from presenting the administration not as having different policies but as evil. This was building at the end of the George W. Bush administration. He was a dignified man and not willing to fight back in quite the way the current president is. The tone of Washington was unpleasant at the end of his administration, but now it is alarming. I can think of only one other era in our history when animosity ran so high and indeed regarded as socially acceptable. It did not end well.